Originally from Syracuse, New York, Nate Felty is an experienced live/session drummer and educator who enjoys performing a wide range of musical styles. Nate has been living and working in Nashville, Tennessee since 2012 and earned his Masters in Commercial Music at Belmont University in 2014. 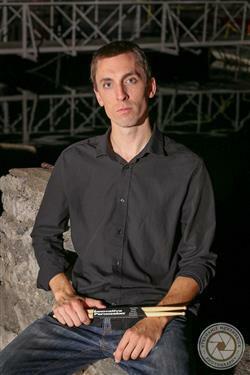 Nate is the drummer for Nashville-based, nationally touring country/roots artist, Kelsey Waldon. With Waldon, he has shared the stage on tour with Grammy Award-winning artists such as Ricky Skaggs & Kentucky Thunder, Marty Stuart and His Fabulous Superlatives, and John Prine. Since his arrival in Nashville, Nate has performed and recorded with notable touring bands from Nashville. Among these are The Amanda Broadway Band, Abby Anderson, Devon Gilfillian, Marquee Mayfield, and 9-piece funk/fusion Dynamo. While with Dynamo, the group earned Nashville Industry Music Awards (NIMA’s) in 2015 for “Best Funk/Fusion Band” and “Album of the Year” for their 2015 release, Find Your Way. When not on tour, Nate is an adjunct professor of drum set at Sewanee University of the South and performs with The Emerald Empire Band for corporate events. Nate continues to make his imprint on Nashville’s local music community, performing with notable musicians such Roy Agee (Prince), Jeff Coffin (Dave Matthews Band), Micah Hulscher (Margo Price), Jay White (Amos Lee, Cory Henry), Mike Hicks (Rascal Flatts), David Rodgers (Keb Mo), De Marco Johnson (Marc Broussard) and Paul Horton (Alabama Shakes).